Since 2011 the Vera & John Casino brand has been proving an impressive gaming service. This isn’t just any mobile casino app; it’s one that’s made some really bold statements and promises. There’s the monthly guaranteed amount of €50 000 – the casino claims that each month at least one player will win cash to the value of €50 000 on a real money wager. Then there’s the daily guaranteed amount of €5 000 which says that on a daily basis at least one play will win €5 000 off a single spin of a cash bet. If you don’t believe us, go to Vera & John – it’s right there on their website. So this place is gutsy enough to boast about their generous nature, but what else is worth making mention of? Aside from sporting the most unconvincing name in the history of casino games, a move that we consider to be quite novel, Vera & John uses a colour scheme usually not associated with the casino industry either. Put another way, this casino’s name and look couldn’t be further from what it actually is. The blue and pink does work however and does evoke a friendly, pleasant and welcoming atmosphere. Vera & John have designed their website to also evoke a sense of innocent fun and let’s face it, gambling can be problematic if you’re not vigilant, but the concept itself is that of fun and entertainment and this is what gambling really should be. For a mobile casino that offers the scale of games that Vera & John does, their banking options are surprisingly tight numbering no more than seven. This isn’t really a bad thing. Sometimes too many options can make things confusing or can cause a fair amount of indecision. What’s admirable about Vera & John is the fact that they only use banking options that can be used to conduct both withdrawals and deposits and these include: Visa, MasterCard, Maestro, EcoPayz, Skrill, Neteller and Trustly. In terms of reaching the casino you can get in touch with them via live chat, email and phone support. Vera & John provide mobile casino players with a massive range of games. To give you better idea, if you’re going to play on your PC, you’ll have access to over 700 games. Smartphone and tablet users can look forward to a staggering 500 mobile casino games, which is much more than any other operators can provide. 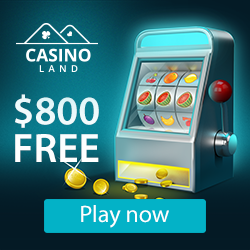 Live casino games, mobile slots and tournaments are all within reach and you know that if there are 500 games available that will cover everything imaginable. Roulette, baccarat, blackjack, video poker and lots more awaits all who sign up. If you’re wondering how Vera & John can offer up so many games, it’s because of their wide-sourcing policies which means that their gaming content comes from at least 18 software providers! Vera & John provides new players with a 100% match up to $/€100 and while this might not be the biggest bonus for new players, it is definitely overshadowed by the 500 mobile casino games that you can play. Plus, the casino does run on-going offers that are usually seasonal, daily or games related. In essence, there will be something that you can dig into.